Bhunna Gosht is a delicious Pakistani Beef Curry that’s made with tomatoes and a handful of spices. 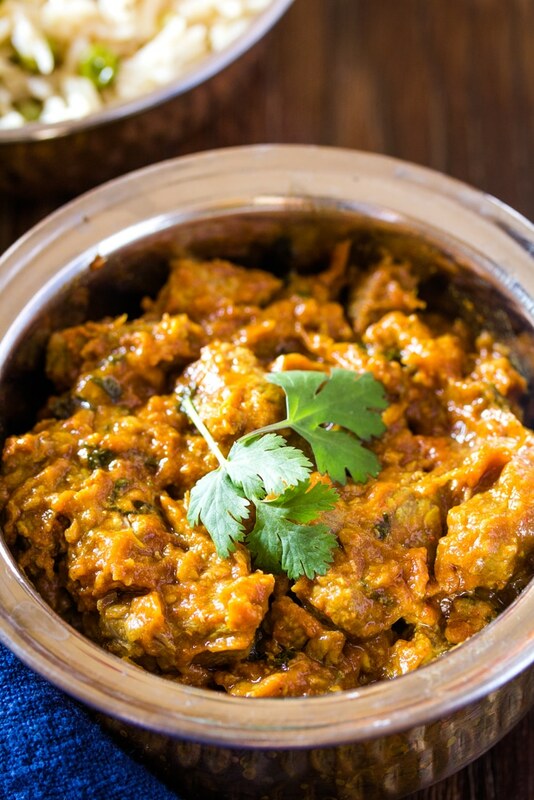 It’s traditionally made with mutton and is commonly known as mutton bhunna too. 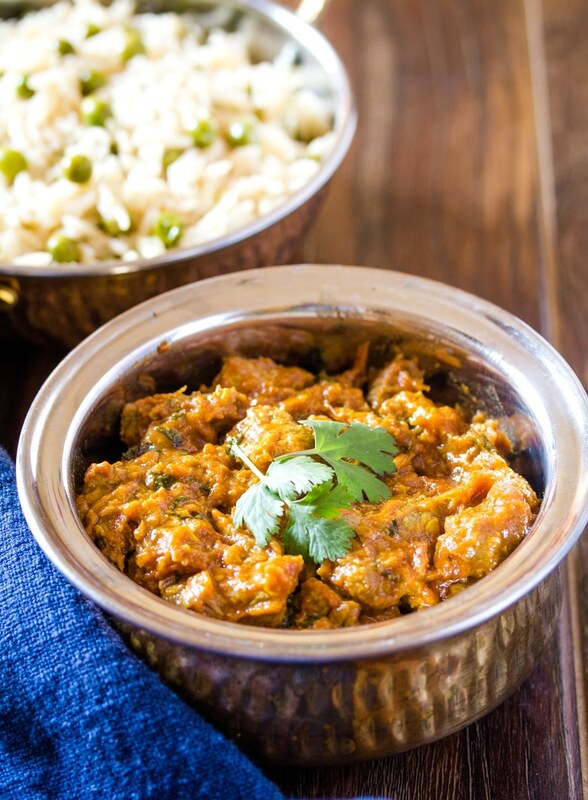 Beef Curry is served with naan, roti or rice, with a side of Kachumber Salad. Would you also like some Pakistani dessert? Then don’t forget to check out my recipes of Sevyian Kheer or Rice Kheer on the blog. Both are super delicious, and perfect for serving after a wholesome dinner of Bhunna Gosht and Jeera Rice. So, I rarely use my pressure cooker, except for when I want a quick and satisfying recipe. But also not put in too much effort. Which is basically my whole life. Lol. So this Pakistani Beef Curry perfectly fits the bill for all my lazy but delicious cooking requirements. And I don’t think anyone will miss it while eating this flavorsome beef curry (bhunna gosht) because they’ll be in food heaven. Anyway, let’s talk about some basics of this Pakistani Beef Curry or Bhunna Gosht. What Kind of Beef is Used for Curry? I used boneless stewing beef for this Beef Curry. Since I use a pressure cooker to make this beef curry, I didn’t need to worry about using a less tender cut of meat as cooking in the pressure cooker will make it tender. 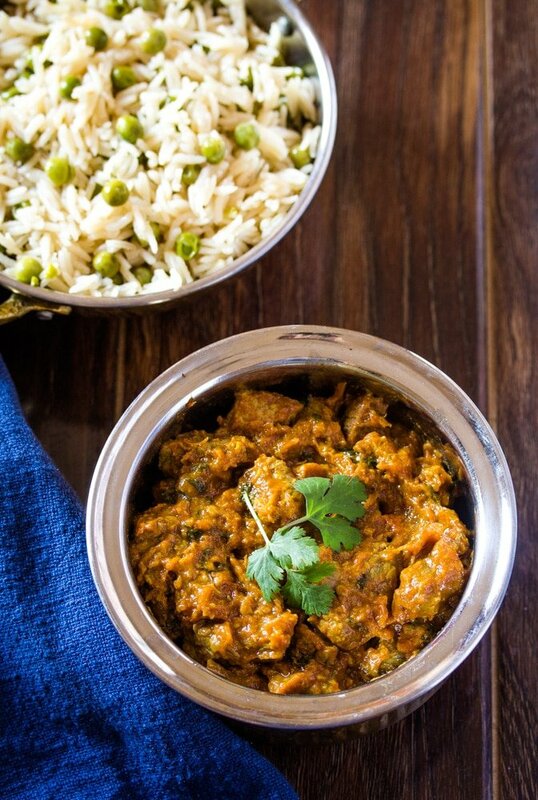 Even if you’re not using a pressure cooker, and opt to slow cook this beef curry, it’s better to use a less tender cut of beef because of the long cooking process. 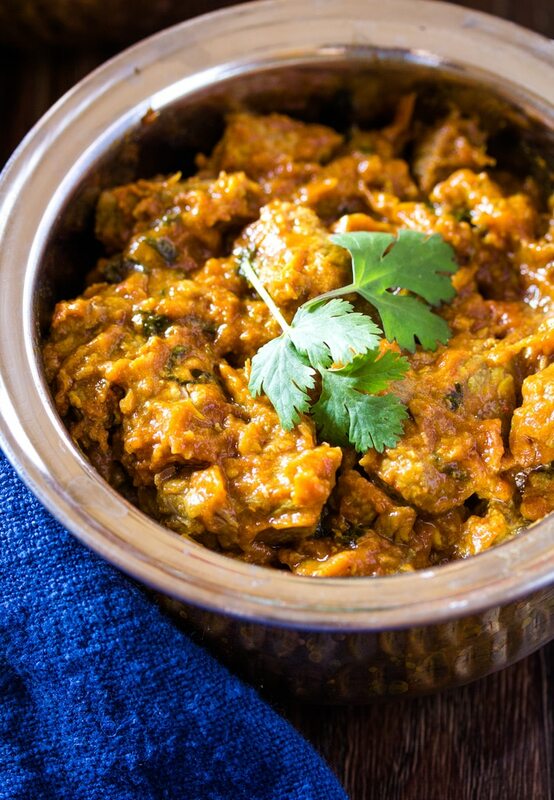 What Spices and Aromatics go into this Pakistani Beef Curry? Like all my recipes on I Knead to Eat, I like to make this bhunna gosht in the easiest possible way, while not compromising on flavor. Most traditional recipes will call for whole garam masala, but I do not use any in my beef curry. This makes my beef curry simple and easy to make. To flavour my Beef Curry, I use tomatoes, onions, ginger and garlic. I also only use two ground spices: turmeric and kashmiri red chilli powder. While this may seem like a very basic ingredient list, let me tell you, this Pakistani Beef Curry is so flavourful and tastes like it’s been cooked low and slow, while technically it’s ready in less than an hour. And the best part ever? Minimal chopping! Since we are using a pressure cooker to cook the beef curry, I roughly chop everything up, and add it to the beef and close the lid and let it come to pressure. Basically, this is a dump and cook kind of recipe. You add all the ingredients into a pressure cooker (beef, tomatoes, onions, ginger, garlic, spices) and cook under pressure for 3-4 minutes or until the beef is tender. Once the pressure cooker has cooled down, and all the steam has released, remove the lid and place the pot back onto the stove (at this point add the green chilli) and cook on medium high heat, until the excess water has evaporated and a thick masala has formed, and the oil has come to the top of the curry. Top with chopped coriander and serve with rice or naan. And that’s it, your simple beef curry or bhunna gosht is ready. 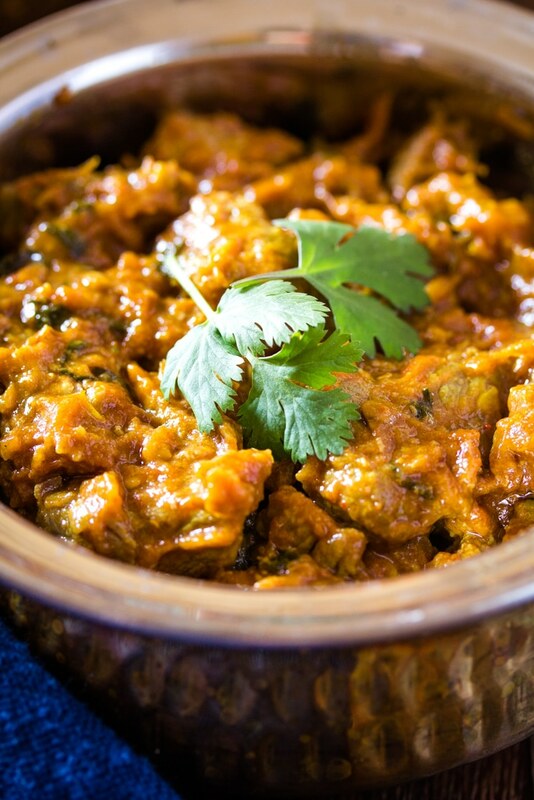 Bhunna Gosht is a delicious Pakistani Beef Curry which is made with tomatoes and a handful of spices. 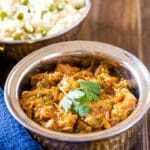 It’s traditionally made with mutton and is commonly known as mutton bhunna too. 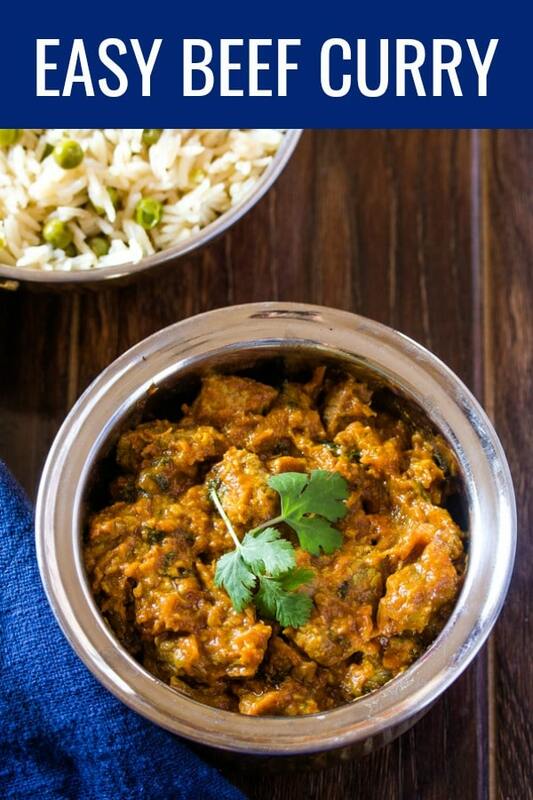 Bhunna Gosht or Beef Curry is served with naan, roti or rice, with a side of Kachumber Salad. Place all ingredients (except green chilli and coriander) into a pressure cooker. Place the lid onto the pressure cooker, and cook until the whistle starts blowing for about 3-4 minutes. Timing may vary a little bit, depending on the quality of your beef. Remove the lid, and place the pressure cooker onto the stove and cook the beef (also add the green chilli at this point) on medium high heat until most of the water evaporates and a masala forms. The trick to making bhunna gosht is making sure that you cook enough so that the oil separates from the curry. This happens when the oil is visible on top of the bhunna gosht.